This letter was written by Sgt. Henry Miller of Co. 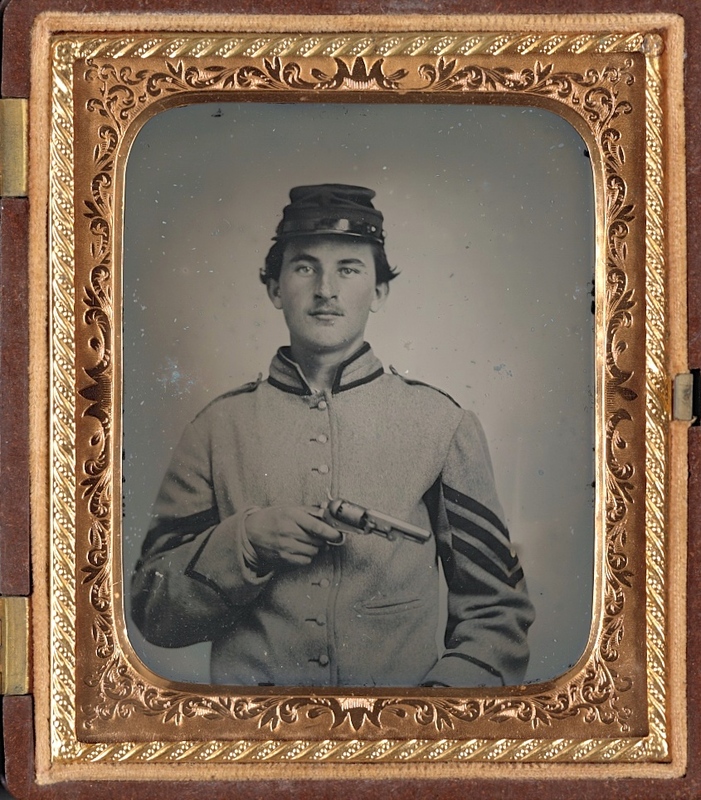 I, 5th Virginia Infantry, just days before the Battle of Fredericksburg. The “Ready Rifles” of Co. I were organized by Capt. O. F. Grinnan and accepted in state service at Sangerville, Augusta County, Virginia, on 11 May, 1861. They arrived at Staunton, Augusta County, Virginia, on 13 May, 1861. The company was ordered to proceed by the Virginia Central Railroad to Harpers Ferry, Jefferson County, Virginia, on 15 May, 1861, and was mustered in state service on 22 May, 1861. The unit became part of the Stonewall Brigade and served under Generals T.J. Jackson, R.B. Garnett, Winder, Paxton, J.A. Walker, and W. Terry. It saw action at First Manassas, First Kernstown, and in Jackson’s Valley Campaign. 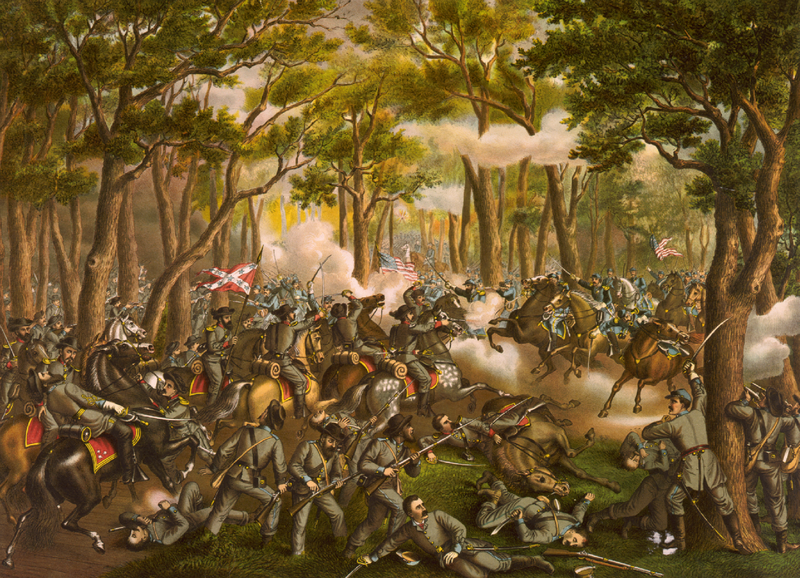 Later the 5th participated in the campaigns of the Army of Northern Virginia from the Seven Days’ Battles to Cold Harbor, then was active in Early’s Shenandoah Valley operations and around Appomattox. Henry wrote this letter to Nathan L. Blakemore (1817-18xx) of Sangerville, Augusta County, Virginia. Nathan was married to Jane E. Phillips (1821-18xx). Their son was Thomas Mortimer Blakemore (1843-18xx) — probably a boyhood friend of Henry Miller. Nathan Blakemore’s Amnesty Papers indicate that he was a native of Shenandoah County, Virginia, but for more than four years before the Civil War he resided in Augusta County where he was a merchant & farmer. Prior to the war he was postmaster at Sangerville, a small village in Augusta County. After Virginia seceded from the Union, he was made a postmaster for the Confederate States at the same office. He claimed to have played no part in supporting the Confederacy and that he had never owned slaves or employed slave labor. Some time before we left the Valley I wrote to Mr. Freymoyer to make me a pair of boots. I sent him the measure with the letter. I will take it as a great favor if you will see him and get him to make them without delay, as I am greatly in need of them. I could get shoes here but they are of such an inferior quality and the price is so high that I will not take them. I wish you would have those shirts made which I spoke to you about when you were down, Your early attention to this will much oblige me. I have no news of importance to communicate from the army. There are no moving accidents by field or flood. Everything is quiet. The boys are busily engaged in erecting winter quarters. My division [?] uses the same reason for his delay in advancing that McClellan did. Our foreign relations present a favorable aspect. France received our minister officially a few days ago. Mr ____ just left here Sunday last and he expects to come back very soon and then you can send those things by him.